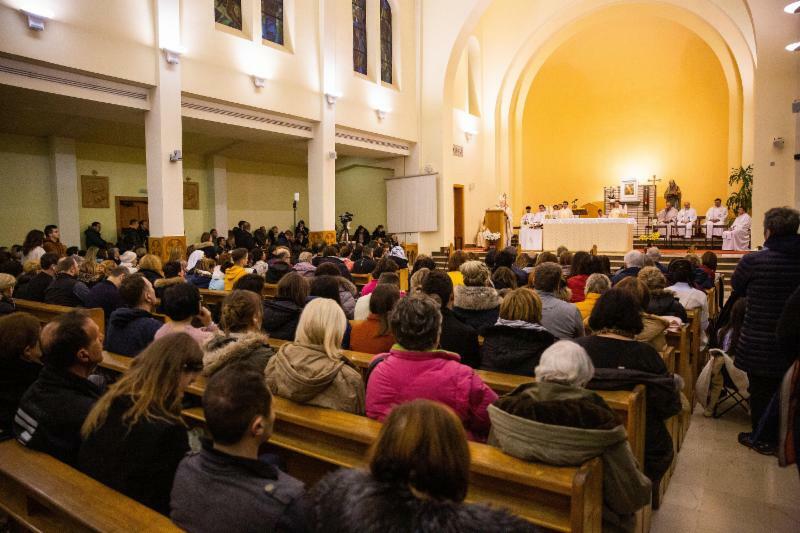 Our Lady has told us many times that God has given her a plan for the salvation of souls which will be enacted in and through her presence in Medjugorje, specifically in the parish of Medjugorje. We have seen over the past 37 years that a great program of prayer has developed in the parish of St. James. Through this program alone, many conversions have happened, many lives have been changed. Combined with the messages, the life of the parish is powerful. This is a very simple message, but also very profound. Our Lady tells us that our prayer helps God to realize all the plans He has for us, for each one of us. When she says, “Today I invite all of you”, we can say that she is thinking of all those who have accepted these apparitions and these messages. So, God has some plans for us and in us, to bring about peace in our hearts, love, reconciliation, the spirit of prayer and fasting. Our Lady is not calling us to ask for peace from others or reconciliation from others in her messages. Our Lady always wants us to be the ones to bring peace, for us to start to be reconciled, for us to begin and not wait for others to do so. There is no human being in the world who does not wish to be loved, to have peace. But if no one loves and if no one brings peace, who will have peace, who will be loved? Our Lady is not calling us to criticize our neighbor because we already know how to criticize and judge others, but to bring peace, love and reconciliation to others. Her message continues, “Help others to be converted, especially those who come to Medjugorje”. In her last message, too, she also asked us to pray for others and their conversion and said that the ice of their hearts would be melted if we pray; she is making us responsible for the conversion of others. Many times, we say, “Leave him alone, if he doesn’t want to. He is an atheist, he doesn’t go to Mass, he doesn’t pray, leave him alone.” Our Lady doesn’t want us to judge or leave someone alone; we must pray day by day for the conversion of others. It would be a big mistake to think, “Others need to be converted, not me.” We all need to be converted every day. By inviting us to pray for others, Our Lady is asking us to bring love to others, to everyone. She said, “Especially those who come to Medjugorje.” So she is making the parishioners responsible for our conversion. Every evening Mass is celebrated here for all the pilgrims, for all those who come here and for all those who ask us; and we priests ask the people here to accept you, with love if possible. When you return home you should become Medjugorje for others, like a sign and invitation towards conversion and prayer. We must be conscious of this reality – people will ask your help, just as Our Lady has asked your help. You are Medjugorje too. 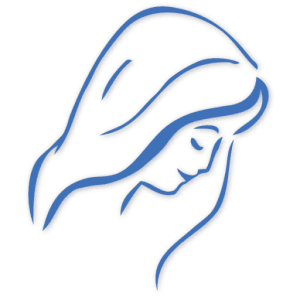 Our Lady once said, “All those who listen to my messages and live them are my parish.” So, there are no boundaries to the Medjugorje parish; all those who live with us in prayer and fasting are parishioners. We feel responsible for your conversion, and when you return to your homes you at once become responsible for the conversion of others. In this way Our Lady’s wishes will be spread. Now something very important. Our Lady said, “Dear children. Do not allow satan to take control of your hearts.” How does one become an image of satan? Look, if there is hate, bitterness, jealousy in your heart, if we quarrel with others, if we do not forgive, if we are not reconciled, who is in our heart? Certainly not Our Lady, not God, because God always asks us for love, peace, reconciliation and forgiveness. If we want to become the image of Our Lady then it is necessary to open ourselves to peace, love, reconciliation, to God and to others. Once again, “I invite you to pray so that you may become witnesses of my presence.” If we have now decided to become Our Lady’s witnesses, if we want to help towards conversion and the grace of peace, we must pray, fast and open ourselves to God and He will fill us. If we want to become witnesses of her presence we must pray. Our Lady has also said, “Without you, God cannot fulfill His plans.” So, we are important. A young man asked me why God who is almighty cannot realize what He wants without us. I explained that we have been created free; God respects our freedom and says to us, “If you wish…” It is in this sense that we can say God cannot do everything without us, because if God is love – as St. John tells us – He cannot and does not want to act by force. Here are the January 1986 messages Fr. Slavko was referring to. Powerful! January 2, 1986 “Dear children! I call you to decide completely for God. I beseech you, dear children, to surrender yourselves completely and you shall be able to live everything I am telling you. It shall not be difficult for you to surrender yourselves completely to God. Thank you for having responded to my call. I invite you all to prayer… O Mary, Mother of goodness, love and mercy!